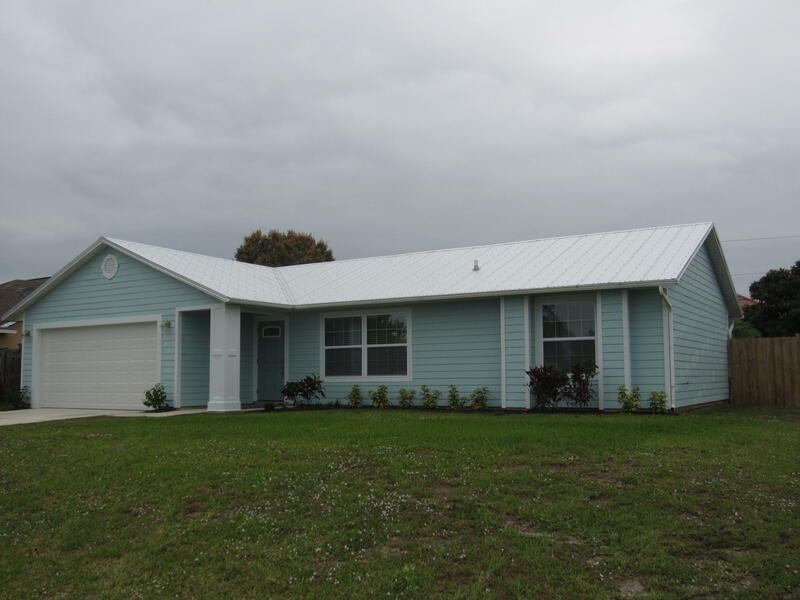 This redone 3 bedroom 2 bath 2 car garage with inground pool has a brand new metal roof. New A/C, stainless steel appliances, garage door opener as well as garage door. The home has impact windows and sliders throughout. Common areas have new porcelain tile. All new lighting and ceiling fans throughout. New kitchen with soft close doors and close assist drawers as well as granite counter tops. Pool has new tile and has been resurfaced with a fenced in yard. The house has fiber cement board siding. All bedrooms have laminate wood flooring. Property also has well with pump in case buyer would like to install sprinkler system. Near I-95 and turnpike as well as Gatlin Blvd.